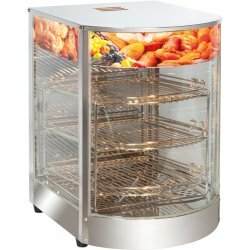 Refrigerated Pizza Tables at Adexa Direct - a leading supplier of catering & kitchen equipment in the UK offering the largets range, free shipping and unbeatable prices. 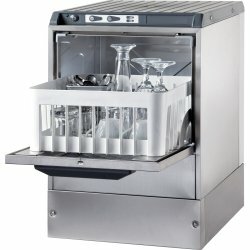 Professional preparation table ideal if you're prepping pizza, sandwiches, wraps or salads, this ref.. 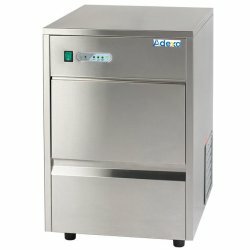 This commercial pizza prep table is large enough to accommodate all pizza sizes, and its refrigerate.. 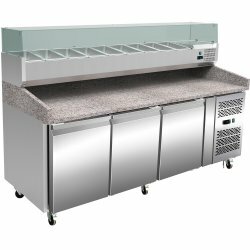 This pizza prep table is large enough to accommodate all pizza sizes, and its refrigerated cabinet p..
High quality commercial refrigerated pizza prep table made in stainless steel with 2 doors and 1 she..
High quality commercial refrigerated pizza preparation table made in stainless steel with 2 doors an..